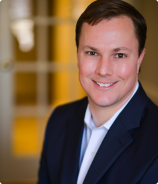 Partner Matt Casey recently settled a premises liability case in St. Louis County Circuit Court for $625,000 against Jack in the Box Eastern Division, LP. The client walked into a Jack in the Box restaurant and slipped on a freshly mopped, wet floor. He suffered a broken femur which required several surgeries and ultimately led to a total knee replacement. Attorney Casey was able to prove through video evidence that the Jack in the Box employee mopped the floor, but failed to properly post a sign warning patrons of the slippery conditions. This proved the hazardous condition was caused by the negligence of the employee and that the injuries sustained were a direct result. Property owners have a duty to maintain their property in a reasonably safe condition and to train their employees to follow specific safety and warning guidelines when a hazard does exist. The failure to maintain safe conditions may subject the owner to liability if a tenant or visitor is injured as a result. Our attorneys have written a detailed step by step guide to making a personal injury claim. This informative guide walks a person through the process of making a claim from start to finish. The printed booklets will be available in January. If you’d like a copy, please email us at info@caseydevoti.com. Meanwhile, click here to read Step #1 — The Event. In an ongoing effort to continually meet the needs of our clients, Casey & Devoti is conducting a 2016 year-end past client survey. The survey is short and takes less than 10 minutes to complete. All past clients who complete the survey will automatically be entered into a drawing for a $25 Target gift card. We appreciate your time and honesty in providing this valuable feedback. Click here to take the 2016 Casey & Devoti Year-End Client Survey. Every day more and more people are killed or seriously injured by distracted driving. The frequency of these stories underscores the need for stricter distracted driving laws, as well as more community education. 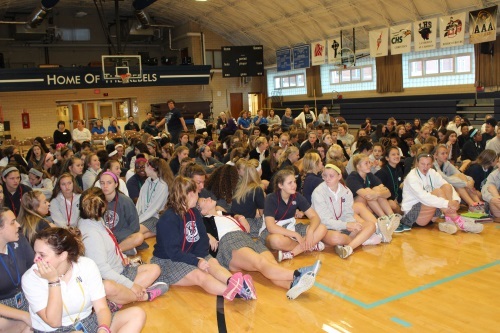 This fall, Matt Devoti was honored to deliver the presentation to the students at Cor Jesu Academy and Notre Dame High School, where his daughter is currently a sophomore. The interactive presentation is done free of charge and offers the sobering statistics of the current safety crisis, shares true stories of the costs of distracted driving, and offers simple steps that drivers can use immediately to help themselves and others around them End Distracted Driving. In each of the last two years, Matt and Matt have delivered the presentation to over 1,500 high school students throughout metropolitan St. Louis and southeastern Missouri. 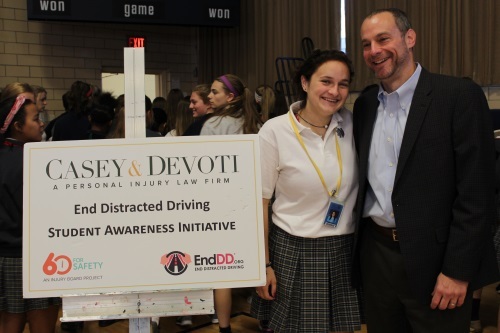 EndDD.org (End Distracted Driving) was established to raise awareness and generate action against the epidemic of distracted driving. It was created by Joel Feldman and Dianne Anderson after the death of their daughter, Casey, who was killed by a distracted driver. To book a presentation, please contact Lara Vitiello at (314) 409-0996 or lmv@caseydevoti.com. Many people choose to travel by car during the holidays. So whether you are traveling across town, across the state or across the country, it is important to take note of these holiday driving tips from the National Safety Council. This has been an exciting year for both the Casey and Devoti families. Each welcomed new additions and are excited to be celebrating the holidays with their expanded broods. Matt Devoti and his wife, Lauren, welcomed their first child together, Lillian, in May. Proud older siblings are Joseph â€“ 17, Sophia â€“ 15, and Nicholas â€“ 12. 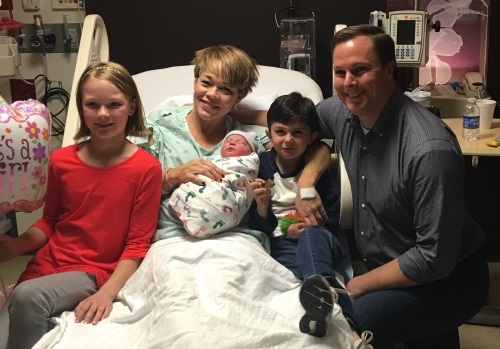 Matt Casey and his wife Becky welcomed their third child, Mary Frances, in November. Proud older siblings are Evelyn â€“ 11 and Henry â€“ 7. 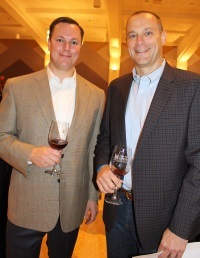 In September, Partner Matt Devoti ‘co-hosted’ another successful Wine Opener fundraiser to benefit the Gateway Chapter of the Cystic Fibrosis Foundation. Nearly 400 guests attended the 14th annual event, which raised $75,000. Attendees sipped on tastings of over 40 different domestic and imported wines, noshed on culinary delights from local eateries, and bid on fabulous auction items. The local foundation is a fundraising arm whose purpose is to advance fundraising efforts and research, as well as raise awareness for people living with cystic fibrosis. 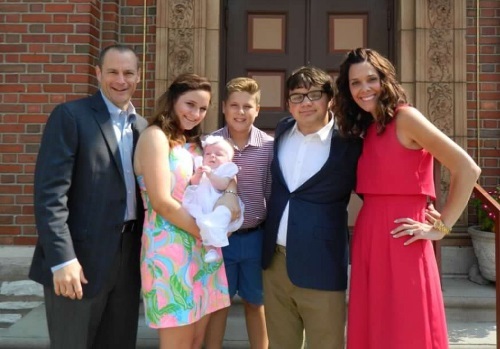 With family members afflicted with the disease, Matt and the firm have supported the Gateway Chapter of the Cystic Fibrosis Foundation for many years. 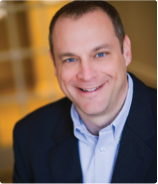 Matt has been a board member since 2013 and is currently the president-elect. He will assume the position of president in January 2017. We are continually posting valuable safety and legal related articles to the Casey & Devoti website and social media pages. Click here to view our latest posts on kids in hot cars and railroad crossing safety. To receive real-time updates, follow us on Facebook, Twitter or LinkedIn. 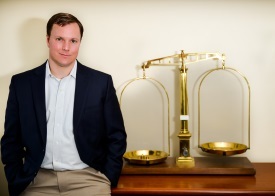 Matt Casey and Matt Devoti also publish blogs on The Eastern Missouri Legal Examiner — a website that allows bloggers and readers to share their views and opinions on all things legal related. Recently, Matt Devoti posted several informative articles regarding victims of drunk driving. Have you been hurt by the negligence of another? Matt or Matt will be happy to meet with you for a free initial consultation. 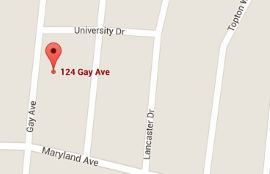 We are available to meet at our St. Louis County office, ‘by appointment’ in Ste. Genevieve, Missouri or at a location of your choice. For over 30 years, Casey & Devoti has diligently protected the rights of its clients with honesty and integrity. Our lawyers are dedicated to providing individuals and small companies with first-class, professional and aggressive legal representation. Our lawyers have extensive trial experience representing clients in matters such as, automobile, train and truck accidents, medical and legal malpractice, product and premises liability, elder and sexual abuse, workers’ compensation and wrongful death. Casey & Devoti proudly serves the greater St. Louis metropolitan area, southeastern Missouri and southern Illinois. Learn more about Casey & Devoti and our rich history of aggressively protecting clients’ rights on our website or through our various social media pages. Visit us at the Eastern Missouri Legal Examiner where our attorneys offer additional news, information and analysis. Casey & Devoti proudly serves the greater St. Louis metropolitan area, southeastern Missouri and southern Illinois.